Brandywine Roller Derby is kicking off the 2016 season with a name change and an exciting home opener against the Ithaca League of Women Skaters, March 12. 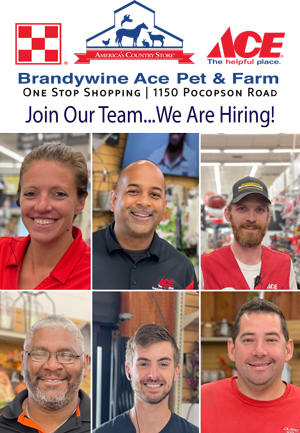 After five years as the Brandywine Roller Girls, the league decided to replace “Girls” with “Derby” in order to better encompass all of the individuals who make BRD a huge success. 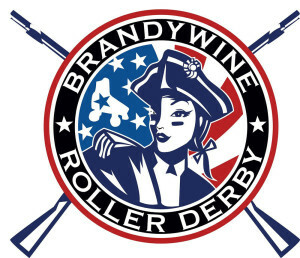 The name change coincides with an updated website at www.BrandywineRollerDerby.com. BRD will kick off the 2016 season with a doubleheader against Ithaca at the recently upgraded Chester County Sports Arena in Thorndale. Both the Belligerents and the Brawlers will play in the home opener on Saturday, March 12. Doors will open at 5:30 pm. The Chester County Food Bank will also be at the bout collecting nonperishable food donations. An after party will be held at Buffalo Wild Wings in Downingtown. On March 18, the Belligerents will travel to Dallas, Texas to compete in the Clover Cup tournament where they will first square off against Des Moines United Roller Derby from Idaho who are ranked 22nd in the WFTDA. BRD was founded in 2010 by a small group of locals who dreamed of putting together a roller derby league in Chester County. As of February 15, 2016 BRG is ranked 54 in the world by the WFTDA. BRD is a 501(c)(3) tax­exempt organization. Brandywine Roller Derby is Chester County’s first, and only, all­ female, skater­-owned, flat track roller derby league. BRD is a full member of the WFTDA and adhere to the rules of the Women’s Flat Track Derby Association (WFTDA), the national governing body for female ­only, skater­-owned, flat­ track roller derby leagues. The league was formed in 2010 and is now composed of over 75 members (skaters and volunteers). The league and its three teams practice three times a week. They play games monthly (March – November) at their home rink, the Chester County Sports Arena, in Caln, additionally they travel to play games throughout the US (and sometimes Canada! ).